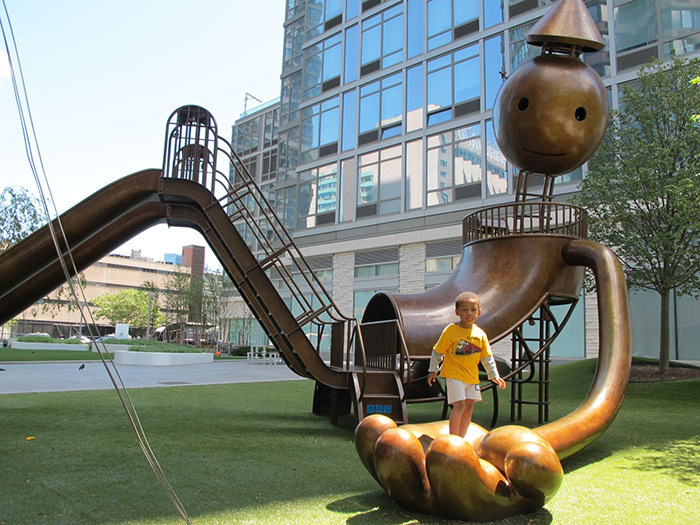 Sculptures by Brooklyn-based artist Tom Otterness that doubles as playgrounds. 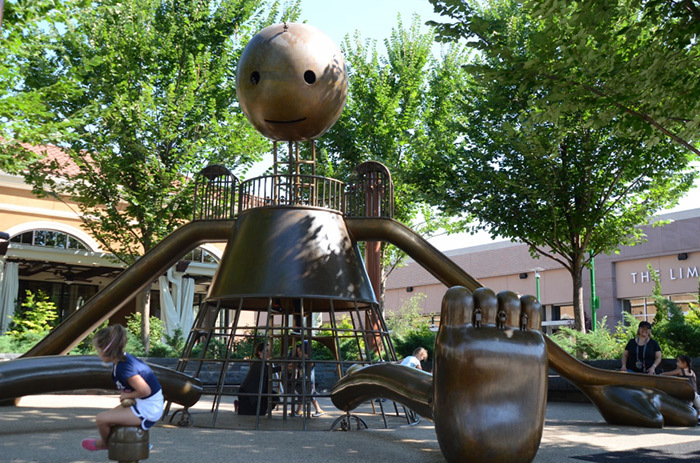 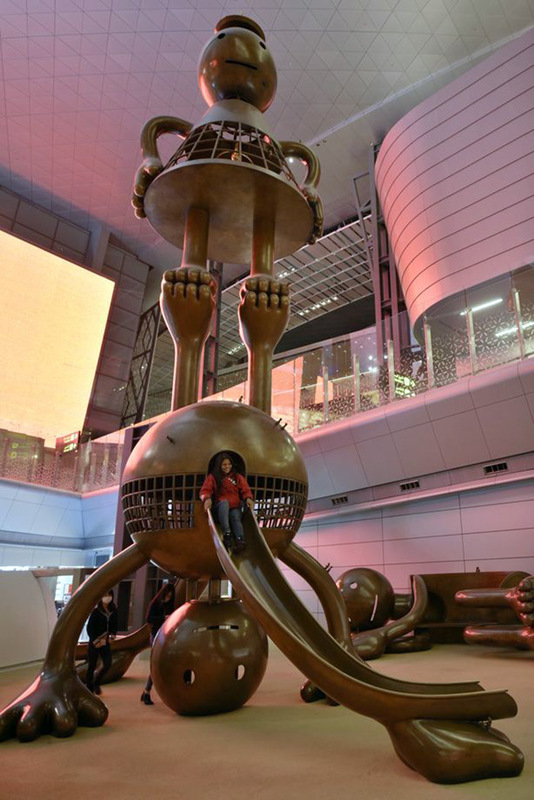 His whimsical bronze works are often dominated by a giant smiling character surrounded by smaller sculptures. 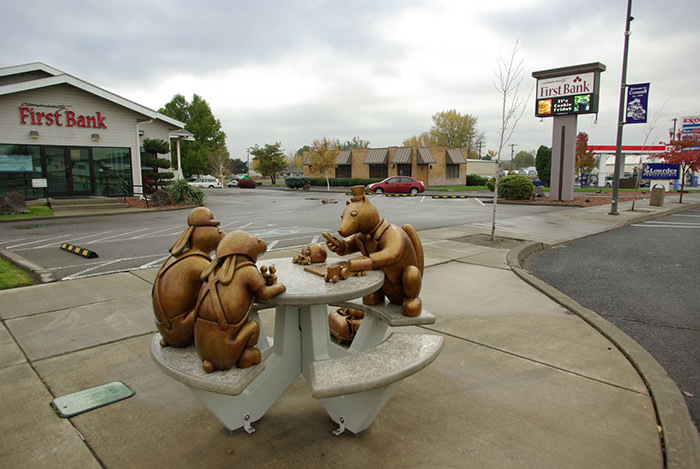 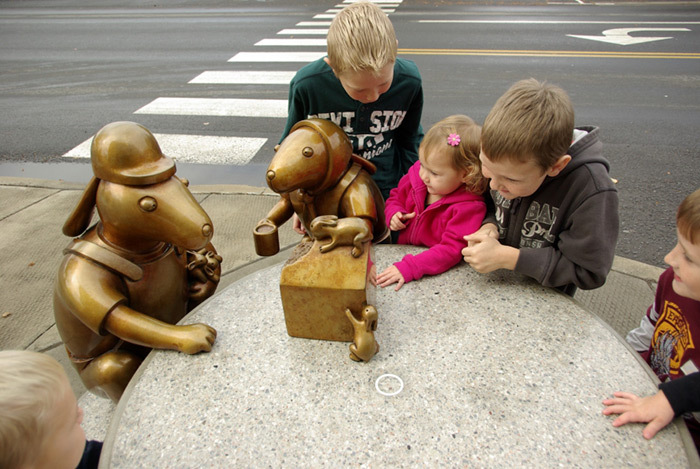 Best known as one of America’s most prolific public artists, Otterness's works are often described as cartoonish and cheerful, but also political. 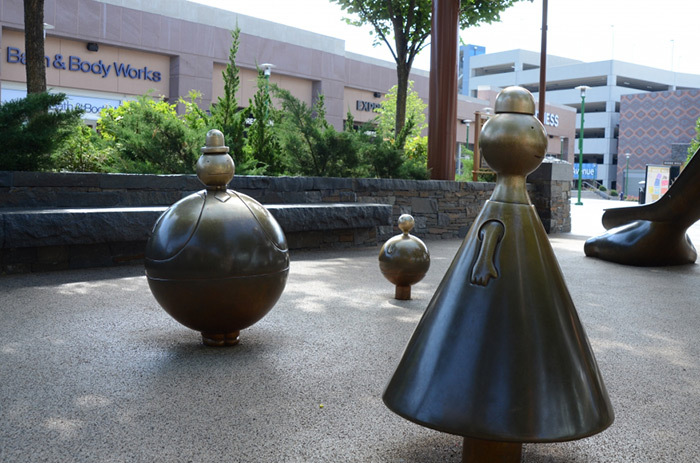 His sculptures have adorned parks, plazas, subway stations, libraries, courthouses and museums in locations across the United States and internationally. 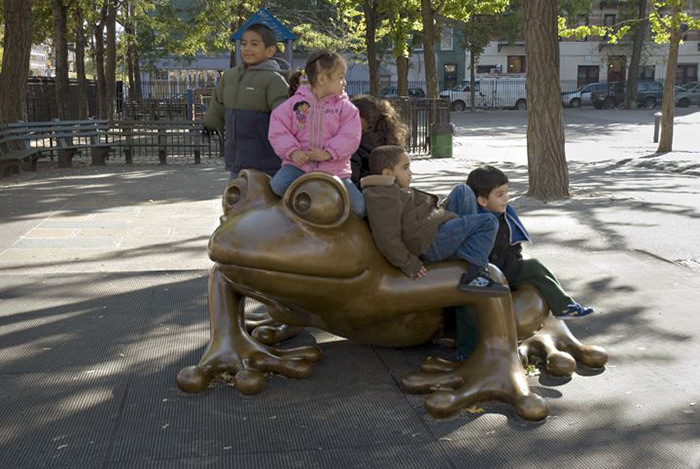 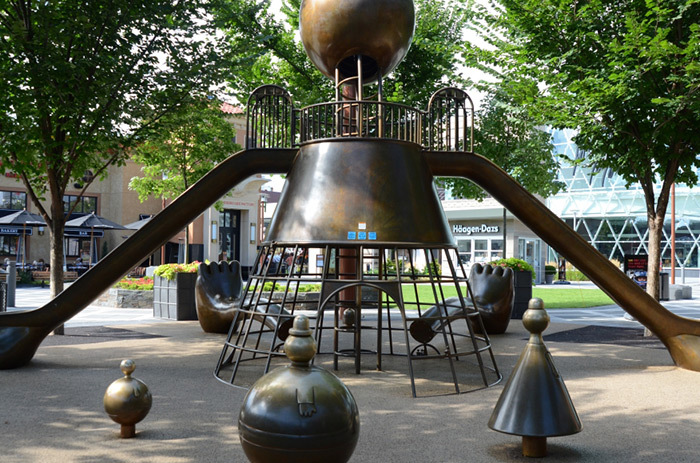 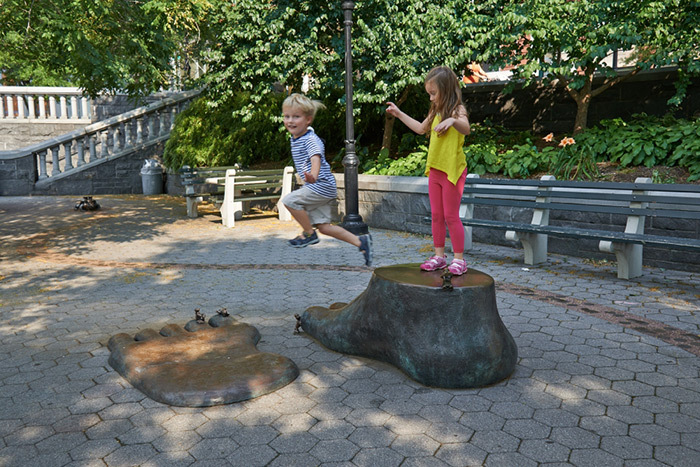 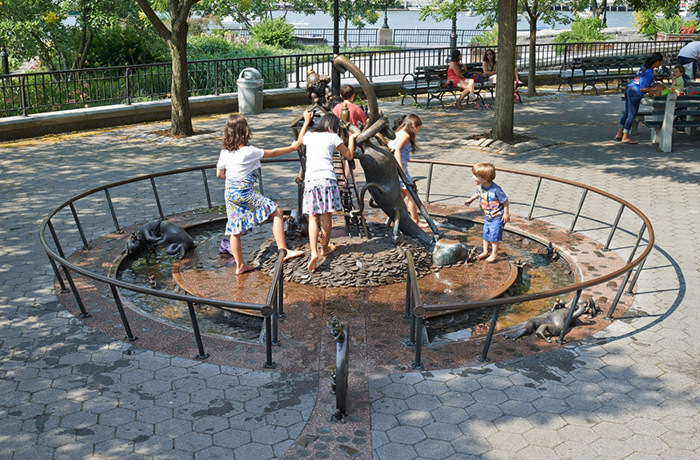 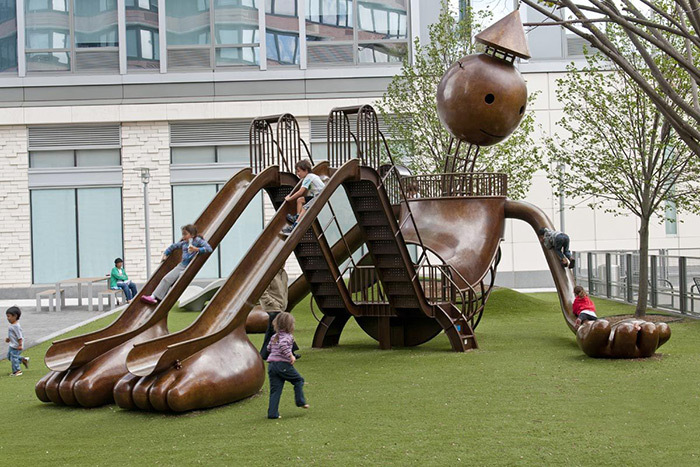 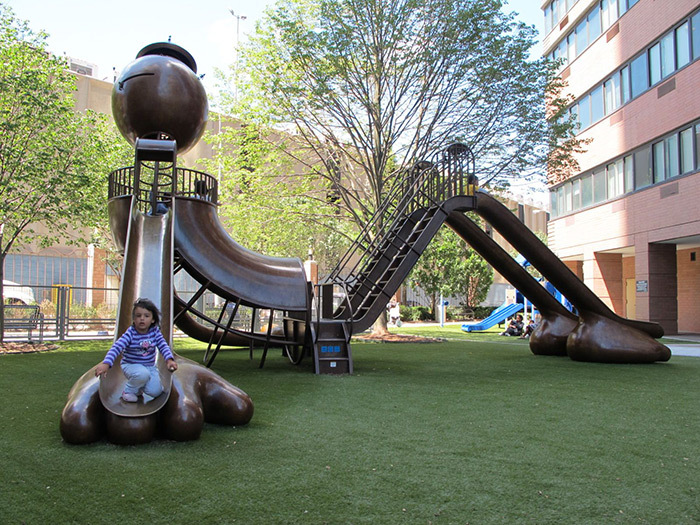 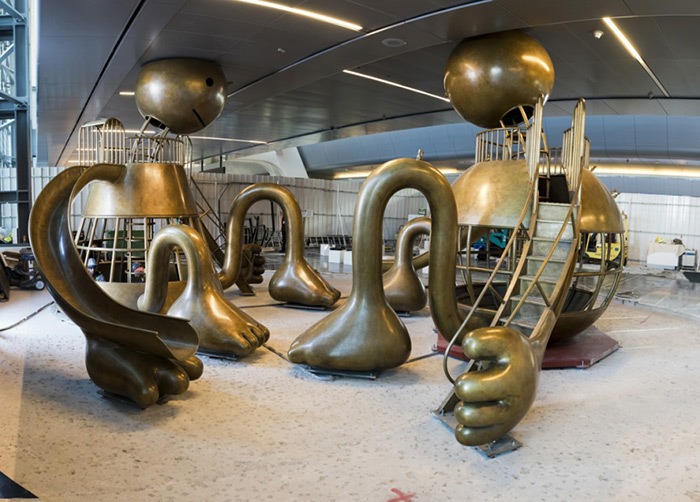 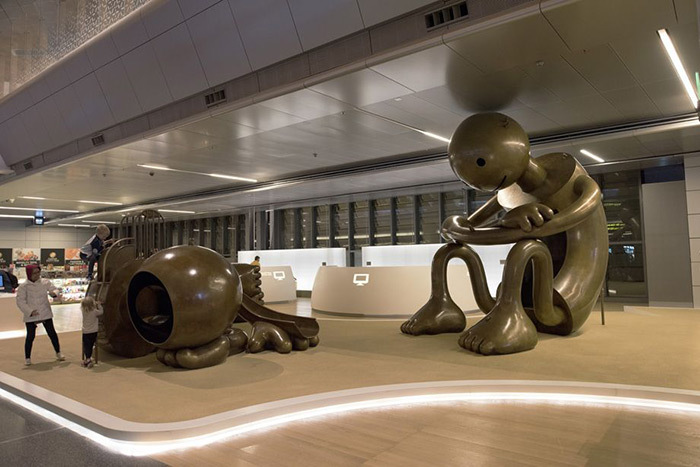 Bronze sculptures that doubles as playgrounds.